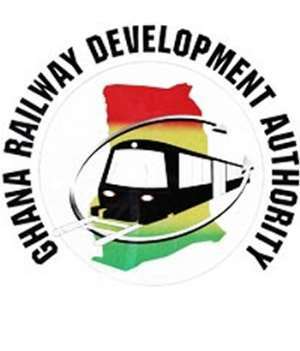 Some tenants occupying the Ghana Railway Development Authority (GRDA) land on the Achimota train way station (V-Plan) behind the Tesano Police Station, are appealing to authorities to indicate clearly to them who they are to pay their rent to. According to the tenants, the GRDA has leased part of the land to one Abubakar Saddique also known as ‘Holy Boy’ for 40 years and he has served notice of his intention to evict them off the land if they do not pay rent to him. Expressing their grievances, some of the tenants revealed that they have been occupying the land for over 15 years knowing that they would be evicted by the GRDA when the government decides to develop the area into a substation. Holy Boy who is said to have strong connections in government has however decided to make life unbearable for the tenants as he continues to harass and demand huge sums of money from them. A spokesperson for the tenants, whose name has been withheld for security reasons, disclosed in an interview that they are ready to pay their rent to government and GRDA but will give a dime to someone they do not trust. ‘’We are ready to pay rent to the GRDA and not to somebody we cannot trust as we don’t know his true identity’’, the spokesman for the tenants said, adding that the government must come in to address this matter. ‘’He claims to know top officials in government and is hiding behind this to threaten us’’, he said and questioned why this could be allowed to continue as they are also Ghanaians and do have a right to livelihood. He further shared that they have reported the case to the Member of Parliament (MP) for the area (Ayawaso West Wuogon), Lydia Alhassan and notified her of their problem but, no concrete decision has been upheld. ‘’We have over 75 New Patriotic Party (NPP) members here and our votes also count, he said whiles warning that they will refuse to vote for the NPP if their plea is not taken. They are therefore appealing to the government and the GRDA to settle this matter once and for all as they believe Holy Boy is in league with the GRDA authorities to dupe them.